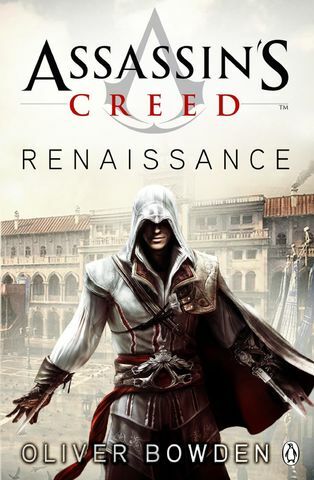 A long and perilous journey awaits young Ezio Auditore, a firey Florentine man whose name and family and snatched from him leaving him with only vengeance in his heart. Oliver Bowdens’ adaptation of 2009s’ mega-smash Assassins’ Creed II is rich and full of character-centric detail that the game could only hint at. Ezio finds himself being caught up in a conspiracy that is bigger than he could have ever imagined and it is only through time he comes to realise the full extent of its’ ramifications on not just he and his allies but the entire world as he knows it. The grandiose epoch of the Italian Renaissance is a marvelous mise en scène for a story about change, action and consequence as Ezio comes to see and understand the world in such a way he otherwise would never have known, a world of revolution, of change and the sharing of revelations that are sure to shake the very foundations of the old world that had once been. Bowdens’ to the point embrace of the culture, understanding of the characters and the time frame that frames both adds that little bit of red wine to the sauce and it leaves you wanting more.